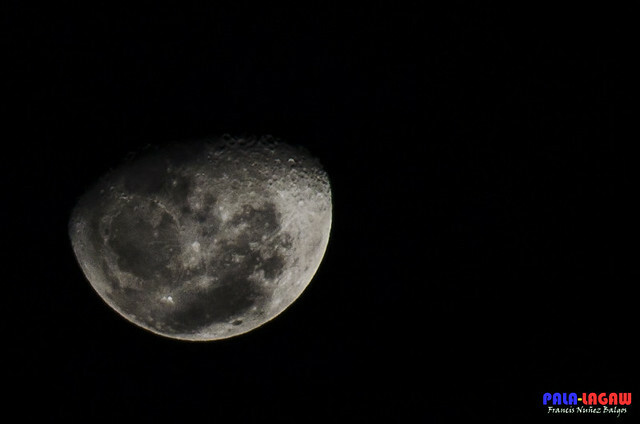 A flitting image in the night sky, peaking through grey clouds, taunting, giving light and taking it back, seeking redemption, a chance to inspire, a moonlight in a polluted Manila sky, these are but a few fleeting thoughts I had in me while I stared at the moon on a chance night of weekend before Christmas. Watching the waning moon as it light the cloudy Manila Night sky, there are no stars to accompany its tableau, still it is visibly hovering in the heavens, alone as it seemed conveying a message of hope. I missed the full moon that was obvious, though I feel like to be the only person who keeps tabs of the stars and specially the moon. It’s always been a source of inspiration for it draws out the romantic in me. December 2013’s Apogee Cold Moon brought as well an excuse for me to finally face within myself the struggles that this year had brought forth. The horrors that my country has faced and my incessant burning desire to bring change on my somewhat routine existence, struggle upon struggling, I stood up proud with scars that I don’t even want to dare look back as to what or where I had been. 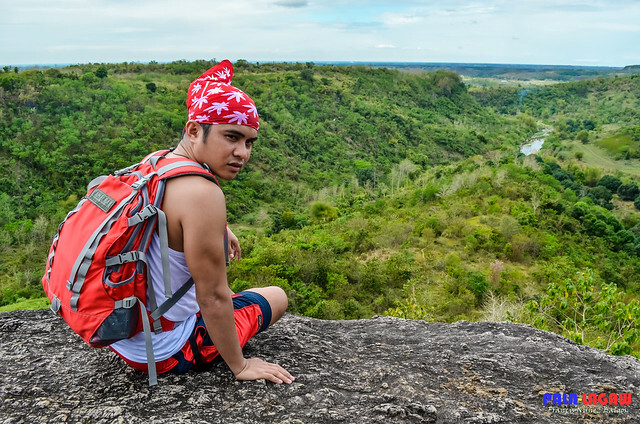 Me at the rock summit of Mt Manalmon, a refreshing minor hike that had been a culmination of my taking the Basic Mountaineering Course courtesy of Sykes Outdoor. 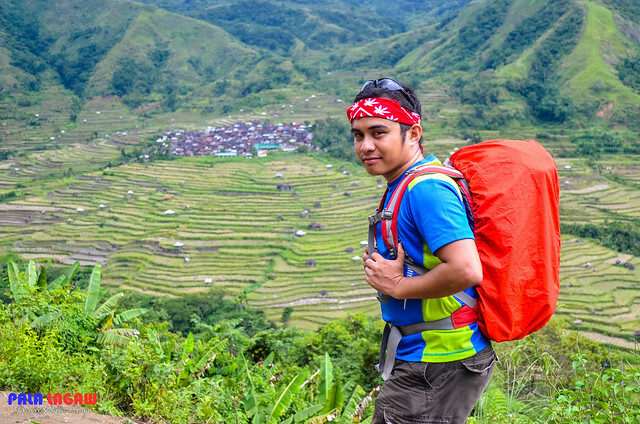 The road to Lubo, Tanudan, Kalinga had been harsh, but engaging in this outreach activity in some far flung areas brought in a realisation that I have been blessed and that alone is reason enough, there is so much to be thankful for. This blog has bear witness to my endeavors, the travels that brought change in my well being. I should say I learned a lot, and learned well, the mountains that I scaled, my longing for a home that I lost in my quest to seek greater opportunities; oh yes I had been brought to my knees but not because I admitted defeat, but simply because I have become exhausted. Many times I have thought of giving this blog the natural death that comes to many other starter blogs out there. But each time, unwittingly and unknown I get inspired by some other bloggers and readers that I meet in some way or another. They have made me realize that there is a place for a blog like mine, designed for weekend travel warriors, the corporate the junkies who deigned to explore but only have such limited time, that the photos I so passionately brought fort are by themselves something that tells a story which is valuable in the long run. The long walks that I planned to blog but couldn’t muster the right words, the long bus rides, the beautiful yet scenic beaches that I long to visit and the photographs of beautiful sunrise’s and sunset’s that takes my breath away, of being chased by strong typhoons; I know now that I am not making any sense of what I write, but the sharing of my adventure and experience is always a good reason to sit down someday and look back to where I had been. Perhaps this is what is wrong about me; I write for the sake that I love to do it, without meaning to, without a thought or a clear idea, letting you see for the most part the bungled confusion in my heart. Waking up from a summit camp in Mt Mabilog to see before me a sea of clouds before the scenic Holy Mt Makiling and its counter part The Devil's Mt Cristobal. The hike, courtesy of Chasing Adventures. I am a wounded soul seeking answers from anywhere and 2013 was almost a heartbreak especially in the later quarters of the year, I watch photos in horror of the heritage churches broken and in rubbles by a devastating Earthquake in Bohol and Cebu, I’ve wandered in some of these church corridors in elation feeling the age of these edifices, I shed tears looking at the belfry of Basilica del Santo Nino of Cebu, I took hundreds of photographs on this church alone while marveling at the details of the reliefs and the sheer size of the cathedrals. Never had I known that I would feel like gouging my eyes out after Typhoon Haiyan (Yolanda) hit hard in my hometown, we have always prided ourselves as people who always faced Typhoons and survived, it left my family battered and the home that my father built broken, feeling their isolation after the typhoons wrath and my inability to respond to their needs was tested. We survived without having to bury anyone, that should have been a happier thought, but it’s a sickening idea when everyone around you insist that you should feel blessed, I can’t, I just can’t, I would not take any consolation but rather an affirmation that we will get through with this. I share a kindred spirit with every Visayan’s, scattered as we are by many islands, we are from the Heart of The Philippines, and our very language may not be the National tongue but is spoken by Majority of Filipinos everywhere. 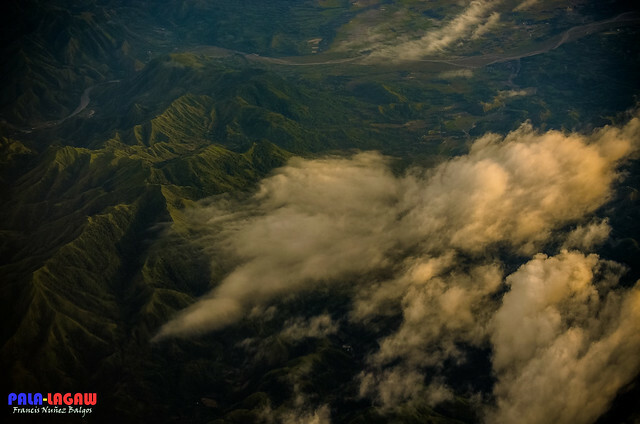 On my way home, this is an aerial view of the highlands of Central Panay Island photographed from an Airplane window. One of the few remaining rain forrest in the country today. 2013 has seen me falling in love with mountains, though I’ve only climb 5 of them, I wasn’t as lucky with work leaves. I felt the downside of Social Media, so I have lessened my facebook uploads and status updates least I unwittingly fuel the envy that I have been continuously getting at work. And now as I welcome 2014 with a new hope for new beginings, I breath in new life for this travel blog that has been my personal avenue, through with this I have touched and inspired a few souls with a few of my inspired words. I do not seek recognition through this blog, it only started out with my desire to share photographs as I dive deeper in my learning of Photography, the followers just came, even the scant comments and the recognition of a few other blogs that had urged me to start my own in the first place. With the struggles I have that is similar to every corporate junkie out there, time is always never enough, but we make do for every opportunity to travel. This past year had seen me traveling less, family and friends has never been more important, they make us complete and strong and far more happier than any travel destination to be reached. But I'll never be away from my goal, after all, I've declared myself a champion of weekend travel warriors, of call center agents who have less time for themselves, I feel everyone of you who has desires to be at two places at the same time, to see the world in our own eyes, to live fully at the best of our years. 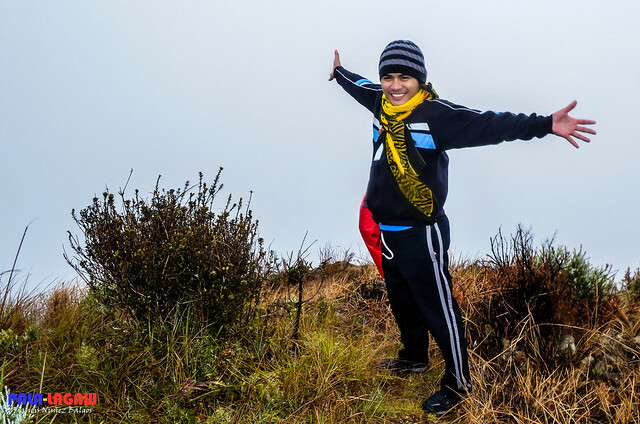 Standing up in the summit of Mt Timbak, on the edge of an abbys hidden in the fog, feeling the surge of happiness, knowing that I have touched the clouds. 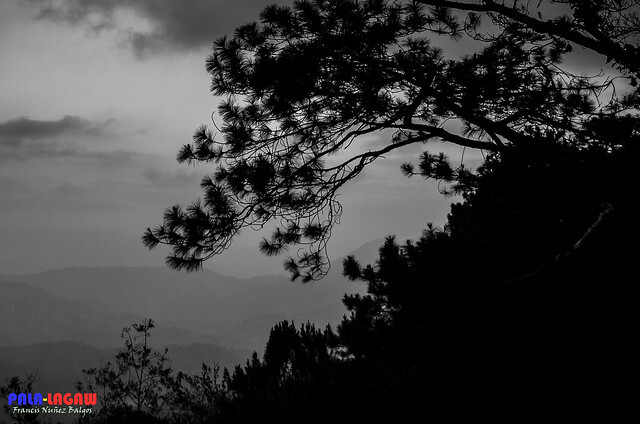 I'm realising that the landscape of Baguio City is sad and forlorn, but the charm in it is that I always wanted to return to this place when I feel that need to be inspired. 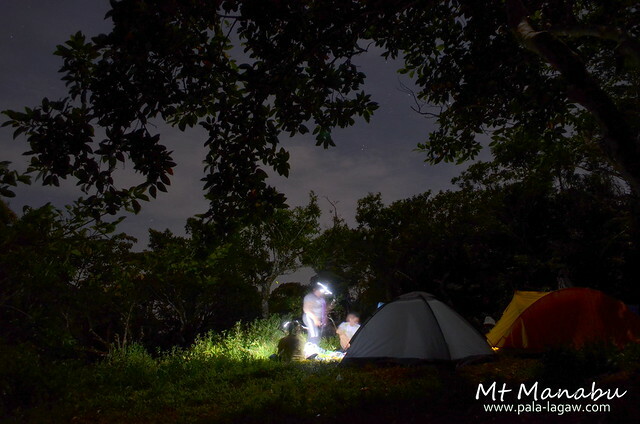 Sleeping under the stars when I camp in Mt Manabu. 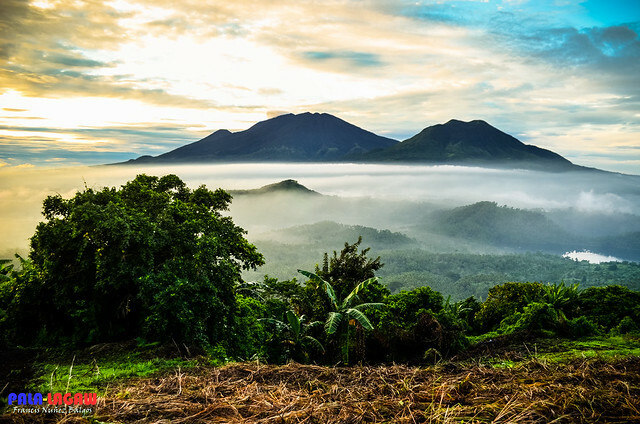 A vale summit that is part of the Malipunyo Mountain Range. Finally, meeting new friends who are by themselves, awe inspiring bloggers. I spent a great weekend with them scouring Baguio City's best watering hole. 2013 is a year now lodged my memory. I am thankful for this chance to be heard, to know that for 2014 there is a world out there waiting to be visited. For every friend and colleague, a mountaineer and adventurer, of beach lovers and outdoor enthusiast, I feel you all, and we should continue to be an inspiration to everyone whose heart is meant to explore, who is afflicted by the wanderlust, driven to be on the road while we live, while we are young. Let us all be thankful. yun oh! indeed a year full of adventures! happy new year Francis! cheers for more this 2014! As usual, you're always reliable and online..
Kelan kaya kita mahuhuli off guard.. hahaha! I love the layers in the 4th photo. Very surreal! Keep on traveling and blogging!